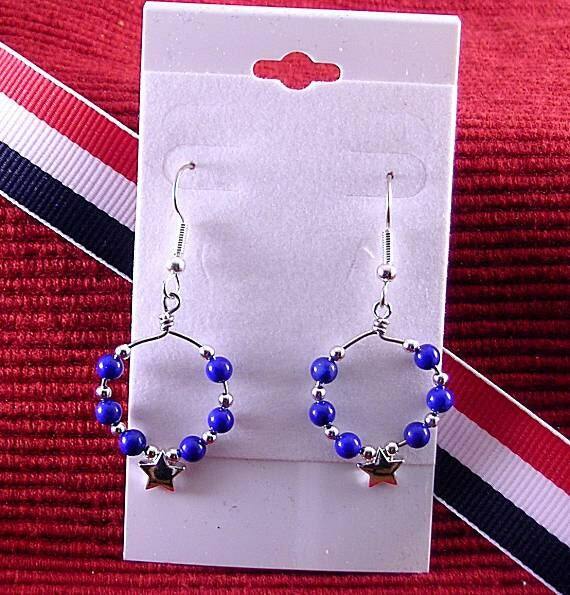 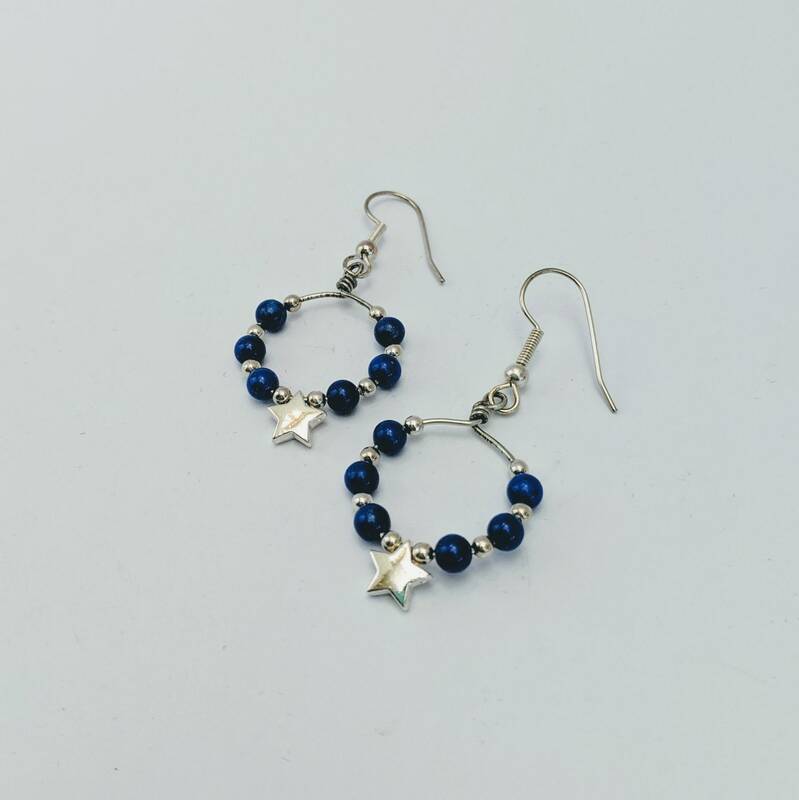 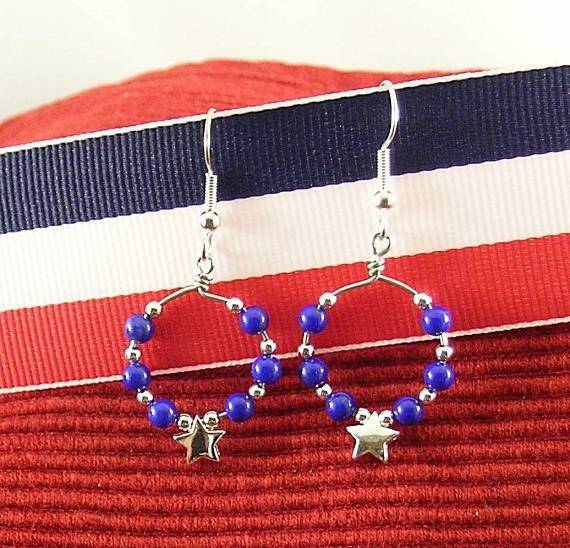 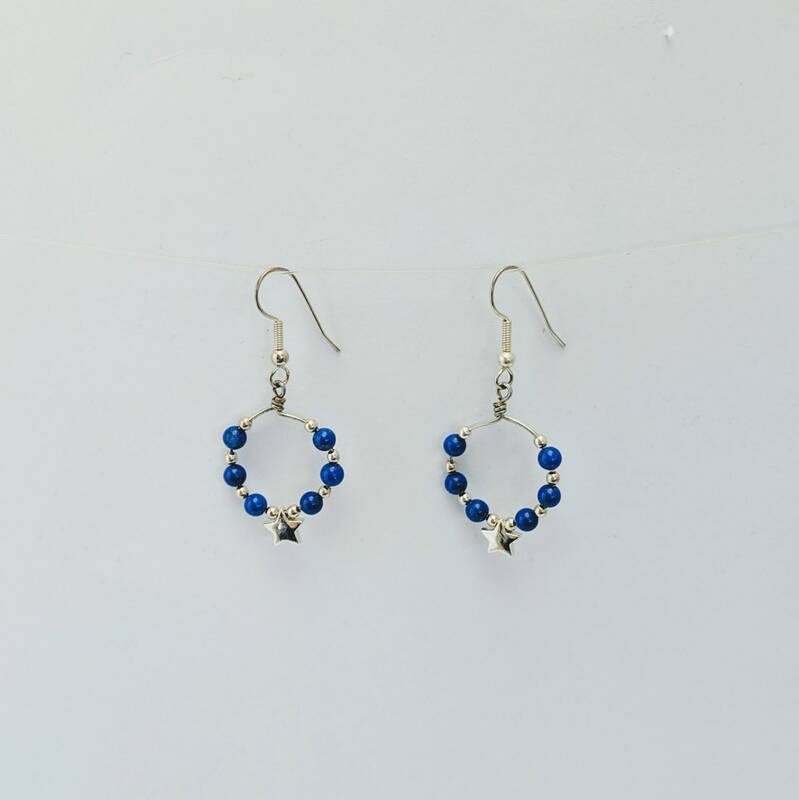 Handmade silver-plated hoops hold 4mm lapis lazuli beads and a silver star. 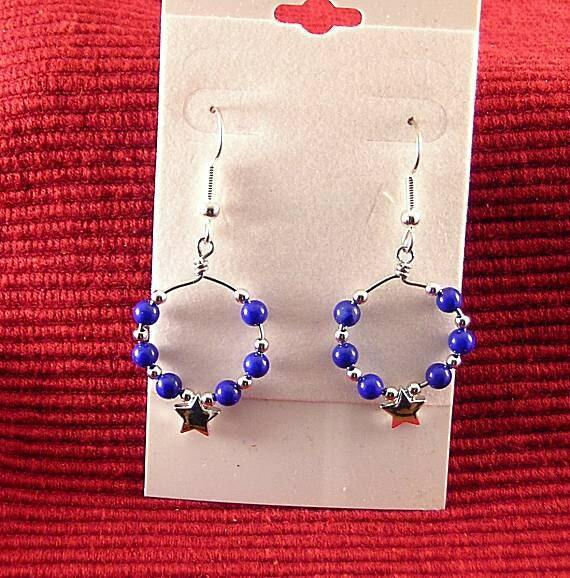 The hoop measures approx. 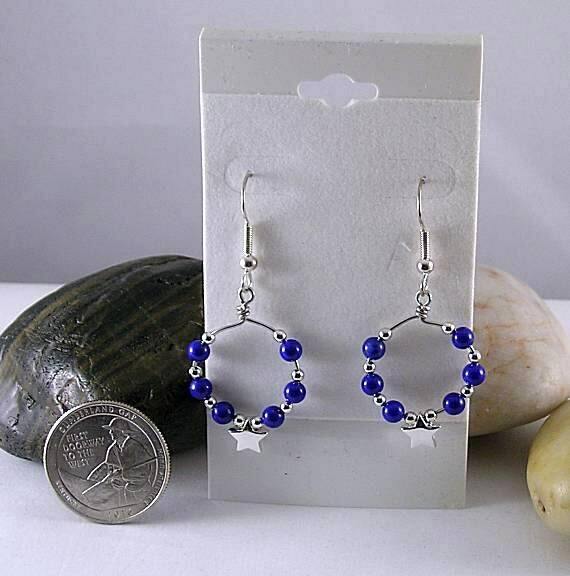 78" in diameter and the earrings are approx. 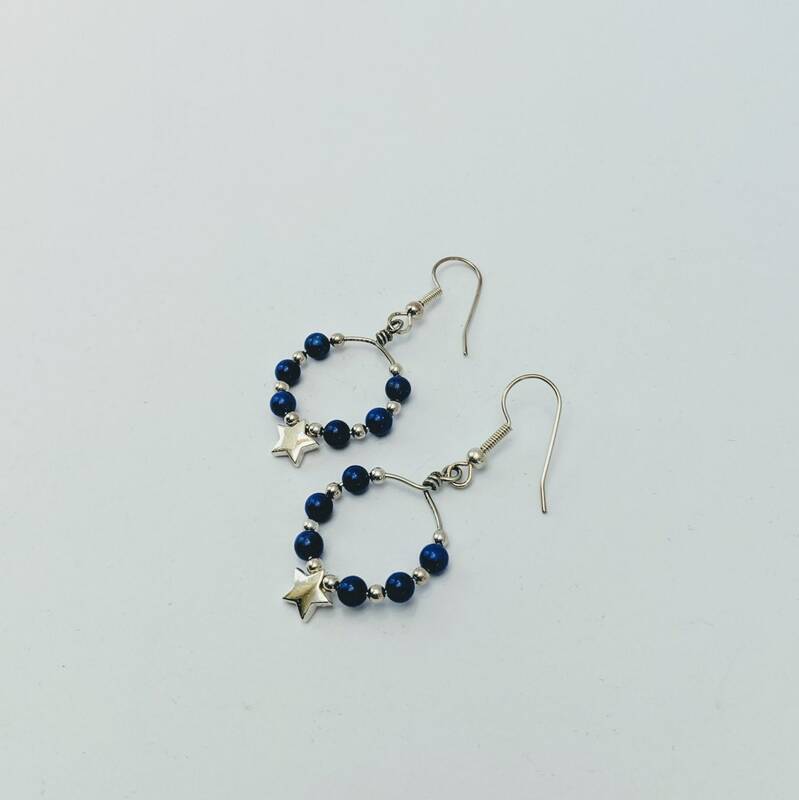 2" in overall length including the ear wires.